devin and i tore down our garage a few weeks ago because it was falling down, and when we did, devin saved the one window that had all it's glass panes intact. because the old paint was already pretty rough-looking, i didn't have to do much to make it look weathered. 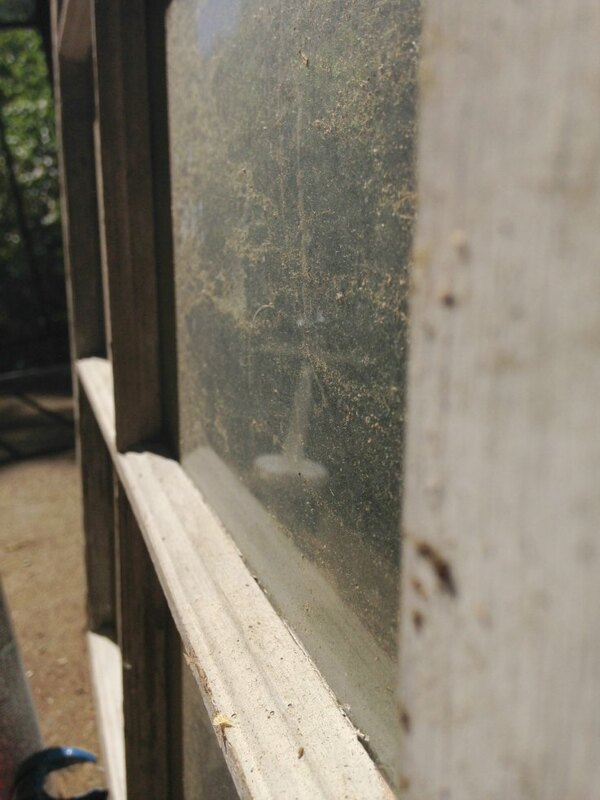 i just sanded off the loose paint (because who knows if it was lead paint, and i can't promise that jake wouldn't eat a paint chip off the ground), caulked the window panes that had lost their glaze to hold them in place, and then i scrubbed the years of dirt off the window! 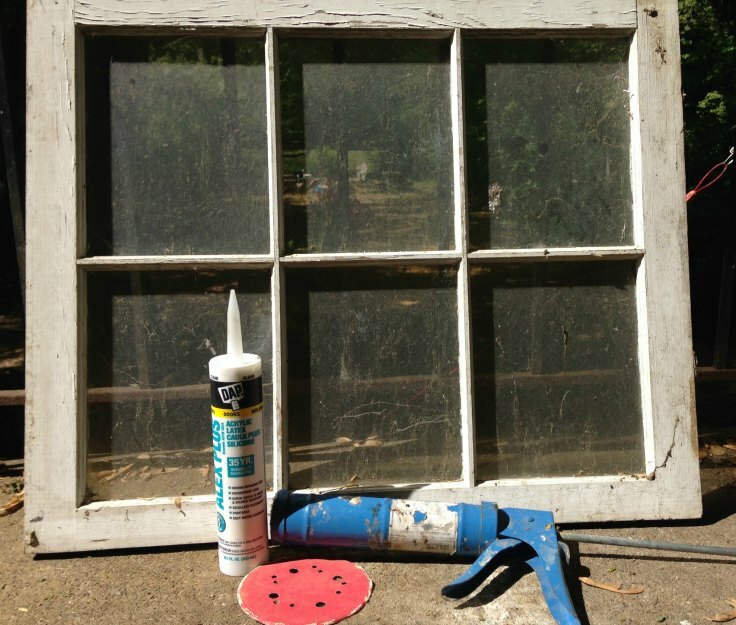 if you aren't tearing down a garage and just so happen to have an old window lying around, try the antique shops and yard sales near you! i printed 4x6 pictures from snapfish for free (when you sign up with a new email address! ), so i carefully taped them in each window pane. and since the window was hung kind of high above the fireplace, i added some twine and hung family pictures beneath the new wall decoration.